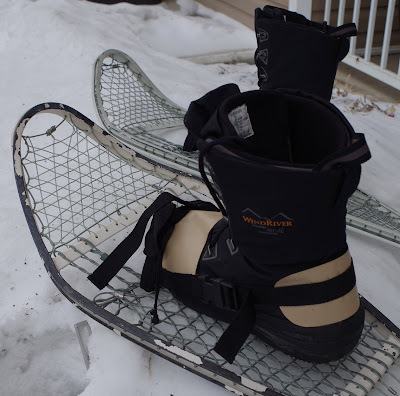 I know a few of you out there have purchased these military surplus snowshoes and why not the price is right. I got mine from Sportsman's Guide for $39.99 USD a set. The crappy web harnesses that came with them were not field ready in my opinion. So, I made my own. 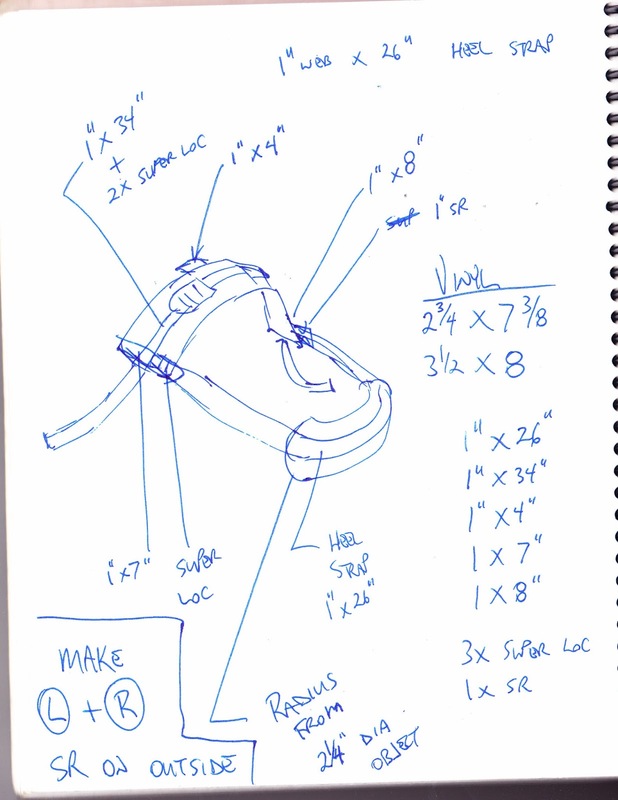 The first harnesses I built were fine for snowshoeing around the prairies or gently rolling hills, however, my son & I were on a snowshoe trip in the mountains and my basic snowshoe harness design did NOT cut it. Not enough tail/heel control on steep uphills. We worked too hard on that trip. 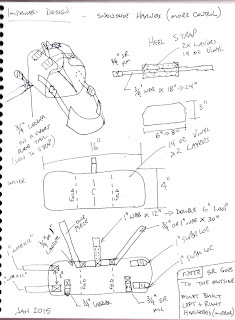 So, on our return I designed and made two sets of Improved Snowshoe Harnesses - Style #2. 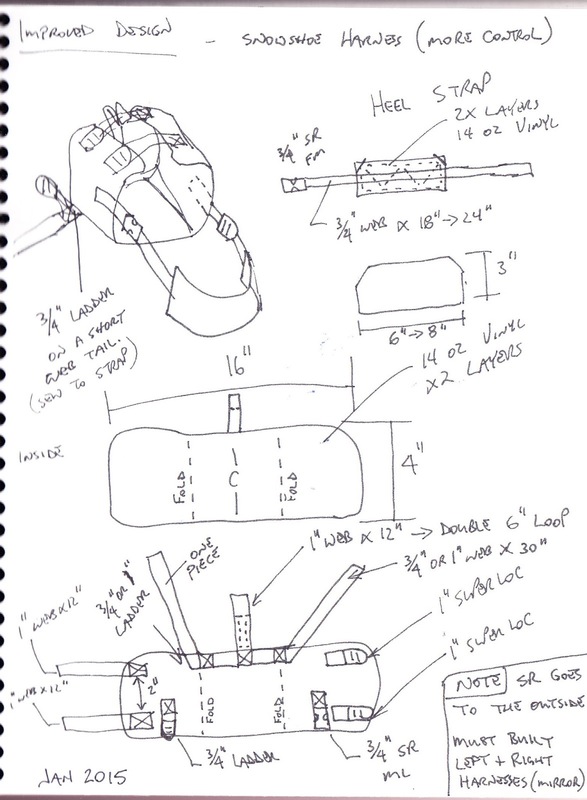 These are the harnesses in these photos. 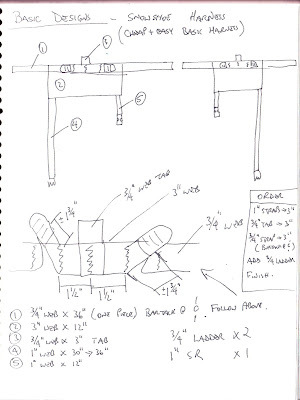 Now, we had a harness that could hold the heel tight and provided better tail control. 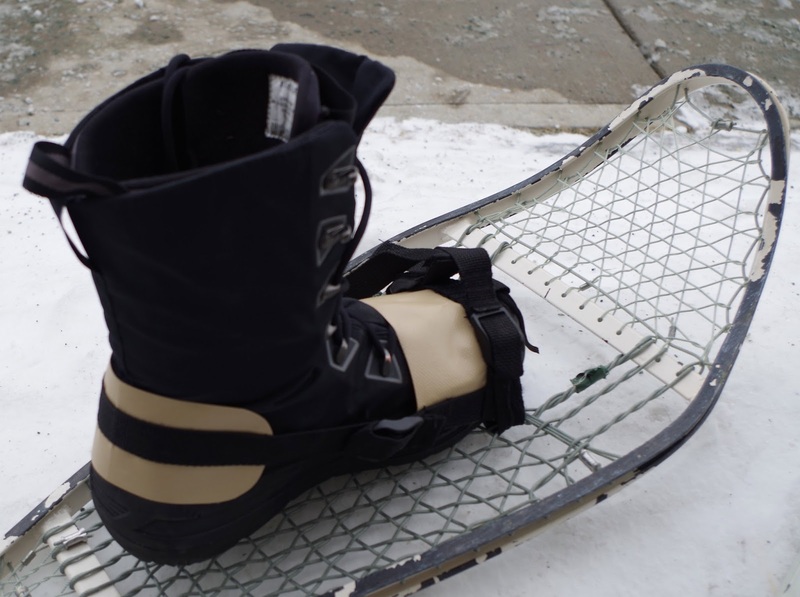 Now, by design these military snowshoes are not setup to perform like Sherpas or other modern snowshoes you can get from Canadian Tire, Mountain Equipment Co-op, Atmosphere or other outdoor shops......then, again these snowshoes do not cost $200+ a set. The military surplus snowshoes were designed for the Boreal Forest and the high Arctic, they are a tough-as-nails version of the classic snowshoes used by natives across Canada from the beginning of time. 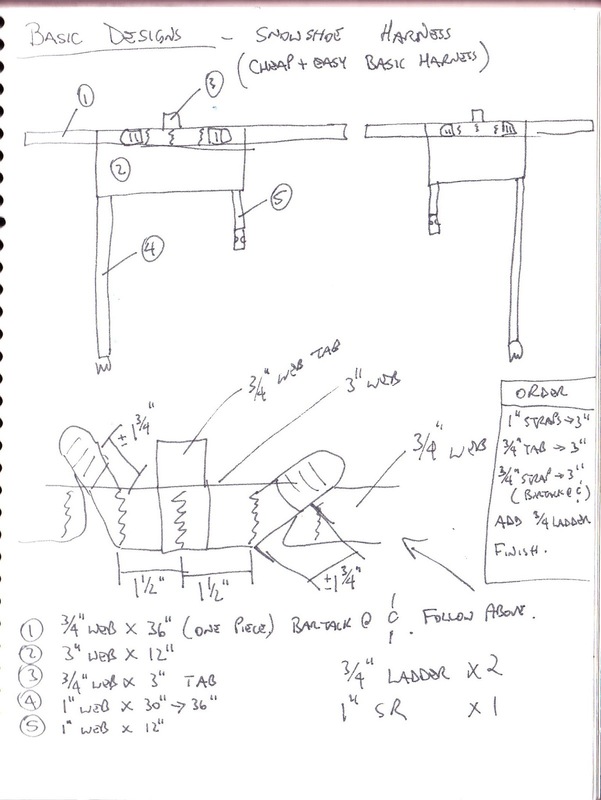 The magnesium frame does not warp like wood and does not need to be re-vanished, either. The metal cable lacing rarely breaks like rawhide lacing and again does not require re-varnishing. In an emergency you can shave off some of the frame to use as a fire starter. 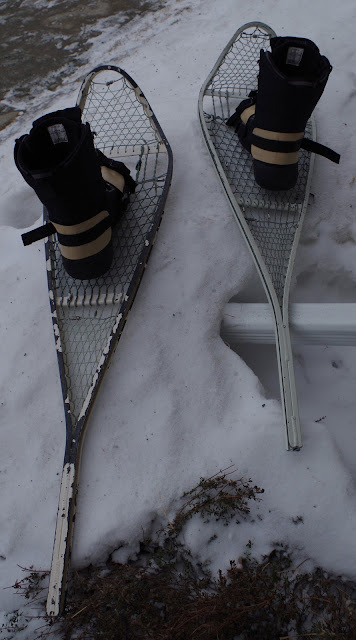 But, these snowshoes are not technical snowshoes for hiking in the mountains. There are no metal harnesses and no crampons/ice cleats. Yes, there are some ridges on the bottom for traction on crusty snow but they are not designed to hold on ice. 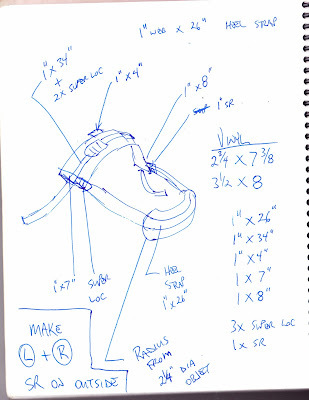 I have included the designs for making your own snowshoe harnesses at the bottom of this post. I prefer to have my buckle that opens to be on the outside of my foot/boot, helps me to remember which snowshoe goes on which foot. For materials I used a 10 ounce vinyl for the toe and heel pieces and poly-pro webbing for the straps and normal nylon plastic buckles from PacCana (supplier in Calgary). Until next time......buy surplus and then improve or modify!